Dig the Farm land, seed the Veggies and Fruits. To grow Faster and give the water to the seed. Harvest the ripe crops and take fresh and healthy vegetables. 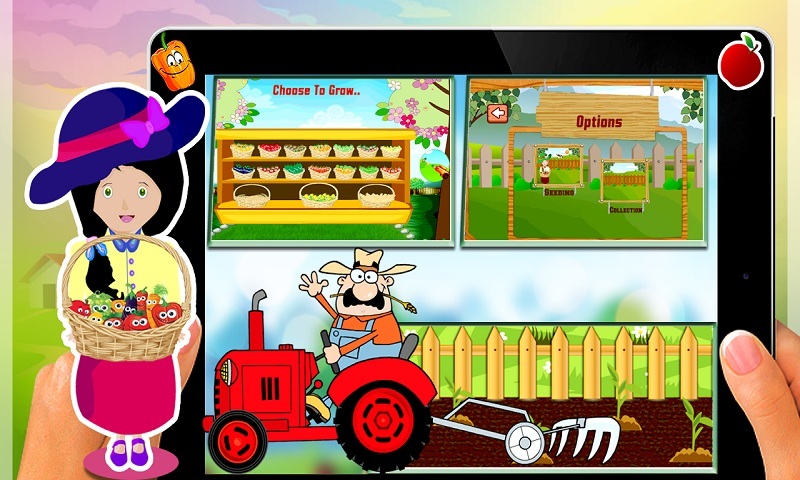 This game learn the kids more how to grow the plant and what care should be taken in the farm?. this will also help to take care of their green and beautiful farm. After the harvesting Farmer takes away the veggies and Fruits. Pink Princess Farm Villa is a Full of Fun and extreme cuteness which will smile and happiness to the Kids Face. Play and Enjoy the Game with Grow seeds, Pick the Fruits and sell out the Fruits. kids like the game who love to play laundry, makeover and Little Doctor game. Download today and Grow the the seed and get the crop.